Joe McNally (left) & Zac Burke-Wolfe (right) of Peoria Gardens prepare an order of mums. There was a time, up until 2006 or 2007, when Robinson Nursery in McMinnville, Oregon would lay off at least 30 percent of its workforce every year, just after the fall season and heading into winter. Back then, the nursery industry’s labor pool included a significant amount of migrant workers, and the business itself was much more seasonal than it is today. Then, of course, the recession hit. When the economy and the industry finally rebounded after that, the labor scene had changed. Many workers left the business when the work scaled back. Nurseries — those who survived the downturn — had grown lean and more efficient. They revamped their strategies and tailored their inventories; some turned to mechanization. But they still needed workers, especially as demand ramped up again. That pinch — exacerbated by the lack of federal immigration reform — has persisted, and it’s hampered the industry as a whole. “Finding labor seems to be what’s inhibiting growth,” said Chris Robinson, general manager of Robinson Nursery. The labor struggle continues for nurseries in Oregon and elsewhere, but people are figuring it out. 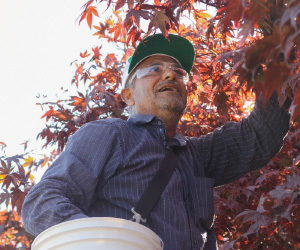 From shifting to more full-time, year-round employees — Robinson Nursery now has 100 full-timers and just 14 seasonal workers — and finding new places and new people to recruit, to tapping a little deeper into the H-2A guest worker program and keeping the pressure on lawmakers to enact reform, the nursery industry is adapting and coming up with ways to meet its labor needs. According to the Oregon Employment Department, employment in nursery and floriculture production in the state had a seasonal peak at just over 14,000 workers in November 2007. The next year, it shed about 1,400 workers and steadily dropped over the ensuing years to around an average of 10,500 workers every November before a sizable seasonal drop-off. The lowest point came in January 2012, when the number hit 7,300. Though a shortage of workers has long plagued the nursery industry, the economic downturn greatly exacerbated the problem, pushing nurseries to play the catchup game when the economy and demand came back to life. Other factors have contributed to the shortage, as well, including the aging of the agricultural workforce, an exodus of workers during the recession and the continued stalemate at the federal level to enact meaningful immigration reform. The most recent failure on lawmakers’ part came earlier this year with the sinking of legislation introduced by U.S. Rep. Bob Goodlatte (R-Virgina), which, among other provisions, would have created a new visa program for foreign workers and required mandatory E-Verify usage to determine a worker’s legal eligibility to work in the U.S. Certain provisions of the bill met stiff opposition from different sides. 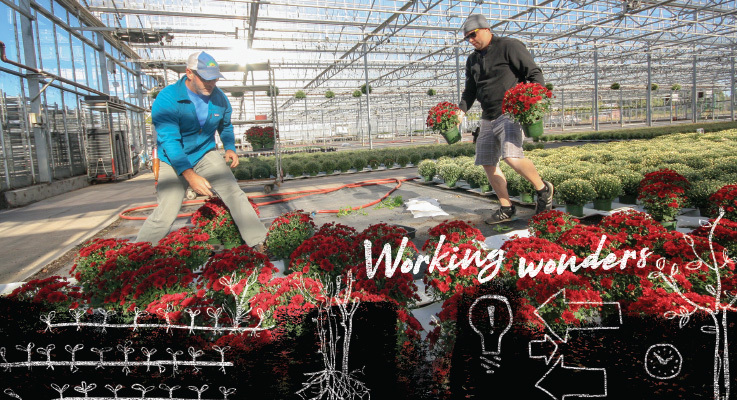 Tom Fessler, co-owner of Woodburn Nursery & Azaleas of Woodburn, Oregon, said legislation that creates a smooth process for foreign workers to come and work in the U.S. would go a long way to easing the industry’s struggles with labor. “I’ve said it forever: We need a work authorization program for people who want to come in and work but who don’t want to become citizens,” he said, noting that Woodburn Nursery has refrained from using existing guest worker programs. The federal H2-A Visa program already does create at least one pathway for foreign workers to come into the U.S., work and then head back home — legally. But it hasn’t caught on in Oregon or on the West Coast as much as it has elsewhere. Dan Fazio is executive director of WAFLA, a farm labor association in Lacey, Washington, that helps farmers find workers through the H2-A program. He said WAFLA currently has more than 18,000 H2-A visas in Washington, but just 1,000 in Oregon; most of those in Oregon are for farms, with just a handful of nurseries. Part of the discrepancy, he said, comes from the lack of state support for the program. Another factor is that it’s easier for agriculture workers in Oregon along the I-5 corridor to string together year-round, full-time work — going from Christmas trees in the winter to nurseries in the spring, followed by berries and hops in the summer and back to nurseries in the fall — than it is for those who work out in eastern Washington, where the crop diversity is more limited. Benjamin Miranda of JLPN gathers seeds. Offering full-time, year-round work is one way that a lot of Oregon nurseries are meeting their labor needs these days. It’s more appealing to members of today’s workforce, who aren’t necessarily looking to move from crop to crop with the season. 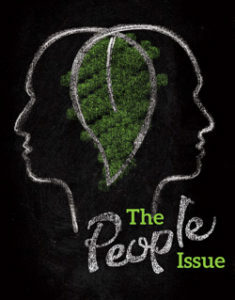 “More people want to put roots down and be a part of the community,” Stone said. Robinson said that his nursery used to do all of its field planting in the spring. Now, as a way to offer year-round work, it does about a third of its planting in the fall. About half of Robinson Nursery is also a container farm, and these days half of that is in greenhouses, which also gives workers the opportunity to stay on throughout the winter months. Ben Verhoeven, president and general manager of Peoria Gardens in Albany, Oregon, said his operation has about 25 year-round employees and about 30 to 40 in the peak spring season. They used to have a steady stream of folks dropping in to seek work, but these days, they have to be more proactive. That’s meant placing ads online and working closely with Linn Benton Community College and Oregon State University. He said Peoria Gardens also dabbled with hiring high school students for a time, but their schedules weren’t as conducive to what the nursery needed. In addition, Verhoeven said Peoria prides itself on offering competitive pay as well as a handsome benefits package, both of which help attract and retain employees. Benefits that start to kick in after employees’ first year: four weeks of paid vacation, a week of paid sick leave, health and dental care, a pension and a 401(k). At Woodburn Nursery, Fessler said they, too, offer competitive wages and benefits. And while that helps find good people, there’s no doubt it’s driven up costs. What else could be done to help ease the nursery industry’s labor woes remains to be seen. Work will continue on the lobbying and legislative front for some kind of immigration reform that might help. The continued evolution of the industry into a year-round one, could also make it more convenient for workers to be employed year-round instead of on a seasonal basis. Mechanization and efficiency will likely help as well, making each independent effort a part of the bigger, long-term labor solution.